North Grover single story triplex in excellent condition. 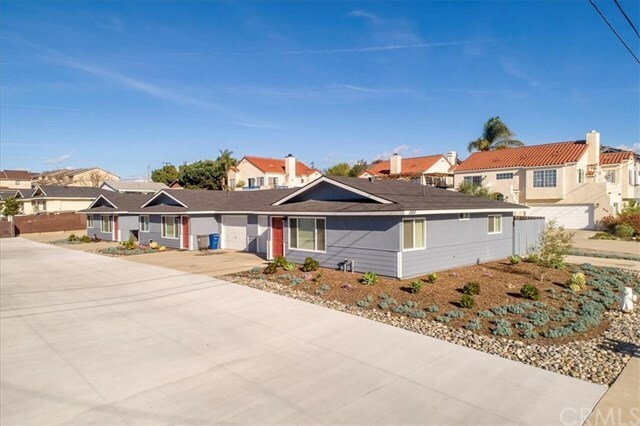 These units have two bedrooms and one bath and a single car garage. The owner has owned them for many years and has enjoyed very high occupancy rates. The units were all updated in early 2018. The complex is professionally managed and the rent for all three units is currently $1,600 per month per unit. Directions: From Hwy 101, go South on N Oak Park Blvd. Turn right on Saratoga Ave. Property is on your right.